Being in debt can be financially and emotionally draining, and it may feel like you’ll never pay it all off. Whether it’s consumer credit on credit cards, student loans, or a mortgage, most people find themselves weighed down by debt at some point in their lives. Once you make paying off your loans a priority, managing debt can be easy. Our blog covers understanding and managing debt, as well as how to pay off debt fast. Consumer credit: The most common debts fall into this category, including credit card debt, payday loans, overdrafts and car finance. It takes two forms: revolving credit and instalment credit. Revolving credit is automatically renewed as debts are paid off, while instalment credit is repaid in monthly or annual instalments. Housing: Housing debt includes rent arrears, mortgage arrears and secured loans. You need to treat housing debt as a priority, as you could be evicted from your home if you don’t pay. Government: Council tax, benefit over-payments and tax debt to HMRC are all debts owed to the government or local authorities. The consequences of falling behind with these payments are severe, as you could face repossession, earnings deductions and even imprisonment. Payday loan: Payday loans are short-term, high interest loans that are intended to be used for small purchases until your next payday. Failure to repay will result in you owing the outstanding balance of the loan, plus interest and any fees from the lender. Contract: When you sign up for a subscription service like a gym, mobile phone or broadband package, you enter into a contract for a minimum period. If you stop paying your account will go into arrears and you’ll lose access to the service. The consequences of not paying off some loans can be more serious than others, so it’s important to establish which category your debt falls in to. The key to financial success lies in paying off the most expensive debt first. By doing this, you’ll avoid high interest rates and late payment penalties. If you’re struggling to keep up with repayments, you’ll need to look at your debts and split them into priority, non-priority and debt emergencies. Your priority debts don’t have to be those with the most expensive interest rates, but they are usually the ones that could lead to serious problems if you don’t pay. 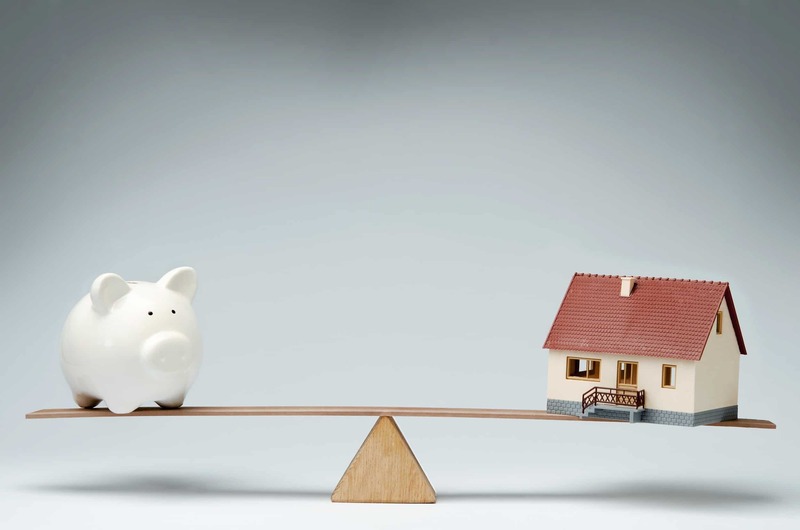 Priority debts typically include: court fines, council tax, utility bills, income tax, mortgage, rent and any loans secured against your property. The consequences of not paying these off could be bailiff visits, court summons, bills being cut off, bankruptcy or losing your home. Non-priority debts are those that have less severe consequences. However, not paying these off could still result in you being taken to court or bailiffs being instructed. Non-priority debts include: overdrafts, personal loans, bank loans and credit or debit cards. If you’re facing a debt emergency, such as court action, bailiffs or eviction, you should seek independent debt advice urgently. If you need to pay off debt fast, consider joining your local credit union. Loans from credit unions are generally cheaper than most other providers and don’t incur set-up fees, administration costs or early redemption fees. You will struggle to get approved for a personal loan or mortgage without a good credit score. Before you apply for credit, you should check your score with a reputable credit reporting agency like Experian or Equifax. These organisations can help you improve your credit score, which will then allow you to get a better interest rate on any loans you apply for. If you think you’re likely to go into an unauthorised overdraft or to exceed your existing overdraft limit, you should speak to your bank as soon as possible. They may be able to expand your overdraft or waive any penalties. Going into an unauthorised overdraft will trigger additional charges that could end up being more expensive than a payday loan. If you owe money on a credit card or overdraft with a high interest rate, it may be worth consolidating your debts with a personal loan. Personal loans often charge a lower APR and will help you establish a period over which you’ll clear the debt. However, these loans should be avoided where possible as they tend to charge a high interest rate. If you’re paying interest on credit card debt, consider switching your balance to a 0% transfer deal. A 0% balance transfer credit card can help you pay off your outstanding debt by moving the balance from one card to a new one with a 0% interest rate. Reducing the amount of monthly interest will help you pay off the outstanding balance faster. Whichever way you choose to pay off debt, you should only take out a payday or personal loan if you’re sure you can keep up with repayments. It’s important to pay off your debt before putting money into your savings, as the average interest rates on instant-access savings accounts are significantly lower than those on a credit card. If you’re struggling to keep up with your loan repayments, you may be considering selling your house to pay off debt. Whether you urgently need to pay off credit card debt, payday loans or stop repossession, selling your property to release equity quickly can help you regain control of your finances. If you’d like to sell your property quickly, contact our team of experienced professionals at Good Move today.